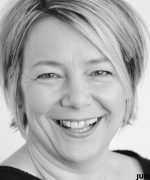 Amanda founded Musicality in 2008 and has nurtured Musicality into a well regarded musical theatre academy and award-winning theatre company. 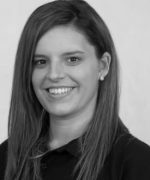 Amanda is a fully qualified dance teacher and has a background in choreography and musical staging, but concentrates now on running her ever-growing company and creatively producing their many productions. As the Director of Musicality Management, Amanda secures work for children and young performers in film and television. With experience as an executive producer and as a supporting artiste, this is an area that Amanda loves working in and hopes to develop further. Eleri is from Loughor and has an excellent reputation as a musical director, vocal coach and accompanist. She has a BMus degree from Cardiff University. 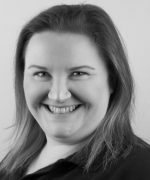 Eleri has sung with the BBC Singers, National Youth Choir of Wales and still performs regularly with the Swansea Bach Choir. She regularly works with the National Youth Music Theatre and the Cardiff Singer of the World Competition. In doing so, Eleri has worked with Beverley Knight and Tom Jones to name just a couple! Since 2011, Eleri has been the Musical Director of Musicality Academy and is also singing teacher and vocal coach to may of our students. She is heavily involved in preparing our students for their auditions for drama schools, conservatoires and university. Emma is an accomplished and experienced dancer who has trained in most dance genres including, Ballet, Modern, Tap, Jazz and Contemporary. Emma has appeared on several television programmes and has won many awards at festivals and competitions over the years including ‘Tap Dancer of the Year’! She is particularly proud to have work-shopped with creative professionals such as Wayne Sleep and Michael Flatley. 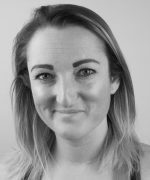 Emily teaches and directs our youngest performers at Musicality Academy (3 months to 10 years) which include our ‘Debut’ tots and toddlers, Musicality Minis, our junior company and all age appropriate dance classes. Emily has a wide range of experience in Performing Arts and has numerous theatre, TV and film credits to her name, including ‘About A Boy’, ‘Gavin & Stacey’ and many TV commercials and pop videos. Her training includes a BTEC ND in Performing Arts, a Musical Theatre short course at The Arts Educational Schools, London and she has studied directing and script writing at Swansea University.